I often have people ask me, “how do you get it all done?” Well, there are a few easy answers to that and a few hard answers to that. This week on our FaceBook page, we entertained the discussion amongst our fans, asking them how they got it all done. Some of the answers were just plain cute. But seriously…how do you balance creating for your store, promoting your items, keeping up with social media, and still have time to put your feet up at the end of the day? You need an Etsy strategy that is simple, straight forward, & easy to follow. Today I’m going to share with you the things that I do to help me. Please know these tips may not work for everyone, but they do work for me. Several weeks ago I wrote a Build Your Brand post on how to do Etsy in just 30 minutes a day. 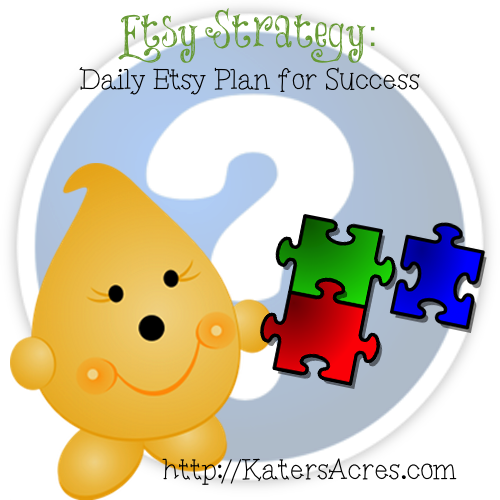 I use a modified version of this plan every morning to get myself on & off Etsy quickly. This quick approach keeps me set to a time limit & allows me to work quickly, diligently, and with a plan. Did I mention that you can also enjoy your morning coffee while doing this? Most people who find themselves stuck online in a “time warp” where the laundry, baking, cooking, household chores, errands, etc, etc, etc doesn’t get done is because they don’t have a list. Research has shown that people who make lists are not only more successful, but they are better organized, less stressed, and get more accomplished in one day…Now, don’t you want that to be you? The first thing that you will want to do is make a list that you will use. I have tried everything to make my lists in the past: scraps of paper, full notebooks, binder organizers, apps, and so much more. Only you can decide what is best for you. Try every method until you find something that works for you. What has worked the best for me is keeping my list where I will see it, where it will remind me to do something, and that has little boxes to check off. What has worked for me is using something that is not extra to tote around. While I loved my polymer clay covered notebook I used for awhile, I never remembered to take it with me. For me, this meant that when I had to write myself a note or a reminder, it was never with me. What’s the point of making a list when you won’t have the list handy to add to it? So, for me this means using all the apps that are integrated into my iPhone & my MacBook. 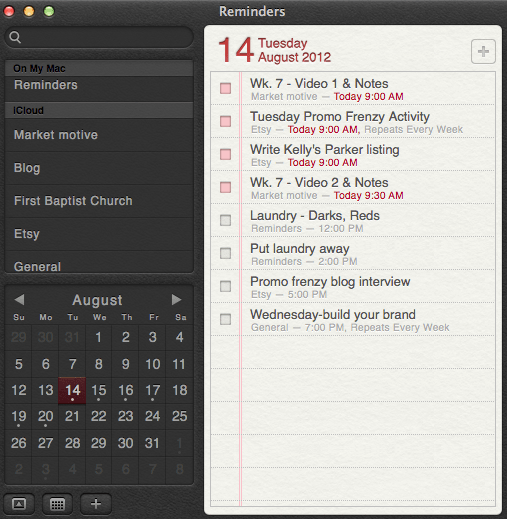 The “reminders” app for a Mac computer & for your iPhone is really nice. You can set reminders with you “to do” items so that they pop up on your phone or computer at specific times that you have set. There are literally hundreds of apps you can download for your smartphones & computers to help you make these lists. Or you can use websites that are dedicated to making, keeping, storing, and reminding you of your list. My list is broken up into sections: Market Motive (for my classes I’m taking), Blog, FBC, Etsy, General, & Studio. You can break up your list into as many sections as you want. Every day you should be accomplishing one major goal or thing to be done on your “to do” list. My to-do list for today (which was actually yesterday by the time you read this) includes many things in lots of areas. So what should you put on your list? For me, I put anything and everything! I put chores that need to be done, errands that need run, food that needs baked, projects to be completed, homework assignments, blog post reminders, you name it, it’s on there! You don’t have to put anything and everything. But I would recommend that you either do it all or concentrate on ONE area. What you can’t see on this reminder screen (because it’s already been completed) are my daily Etsy “chores” if you will: Check convos, relist 1 item, shipping, schedule 1 draft item, check social media (facebook, twitter, pinterest, & flickr). If I have a Parker scene that is scheduled for release, it will also pop up in my reminders. Again, all of this is also incorporated into my “to do list.” In order for me to be focused and not get overwhelmed I need a plan. I can not survive without a plan or I get overwhelmed, cranky, and honestly have no idea what I’m doing. Not to mention that I spend a whole day feeling like I got nothing done. You have to decide what works for you. But…in my experience, I am more successful and have a better strategy when I work off of a “to do” list. Experiment and go through a process of trial and error to decide what schedule will work for you. What works for me may not work for you. 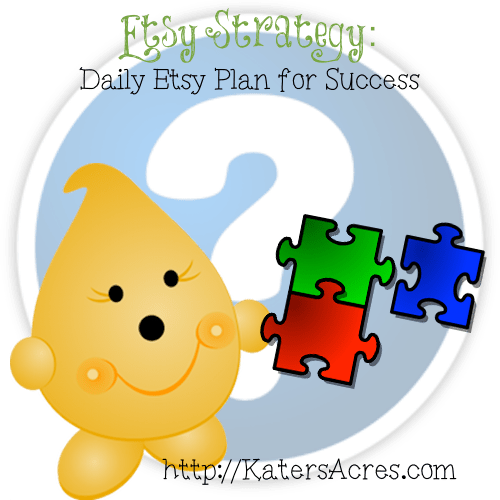 Let me know what steps you take to manage your time and succeed on Etsy. If you have never made a list before, you can research “how to make a list” on Google. This article also has some good information on making lists. This article will also tell you the “what,” “why,” and “how” of making a list. Great article. It’s so true that it takes trial and error to find out what system works with you. I work best with a to do list in front too. But I may use some of your strategies to polish mine! Thank you. Dita. Thank you for giving us a straight forward strategy for success! Thanks for stopping Dorene – I hope you can use some if it. I need a plan too but with so much going on in my life my shop takes a back seat for now but I do plan on making my shop more productive in the future… thanks for the tips. I love the idea of focusing on one social networking site a day. Thank you for sharing you tips!! You’re welcome Amy – thanks for coming.